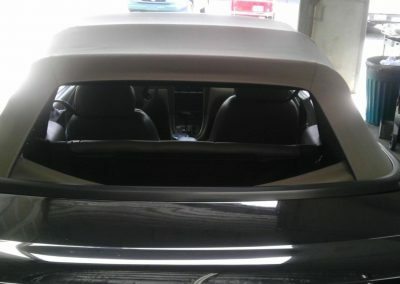 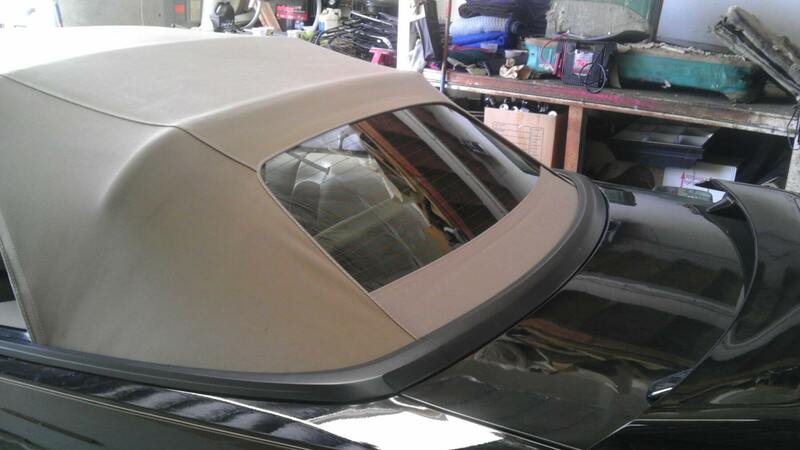 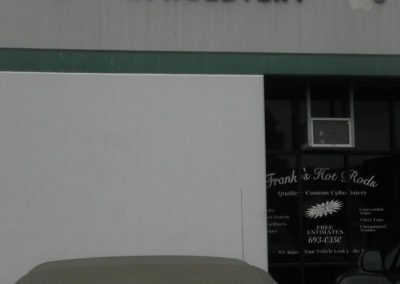 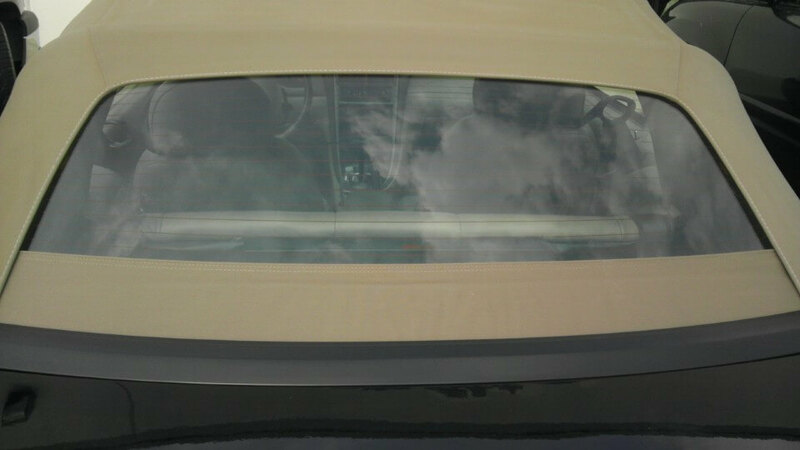 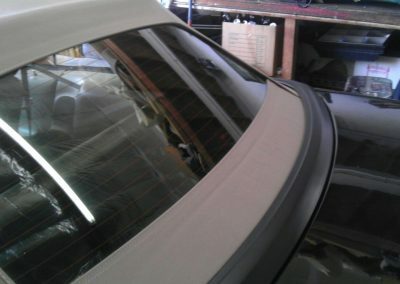 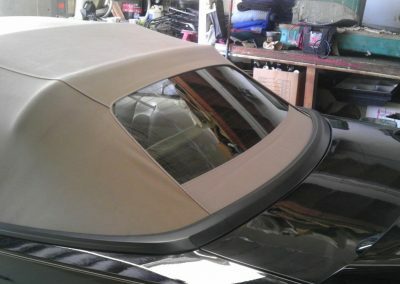 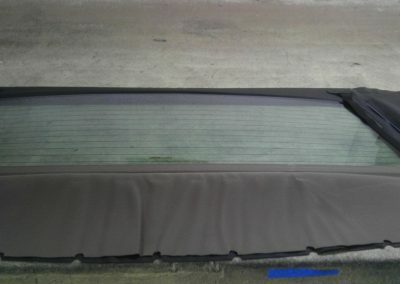 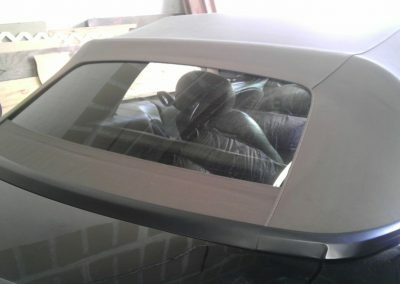 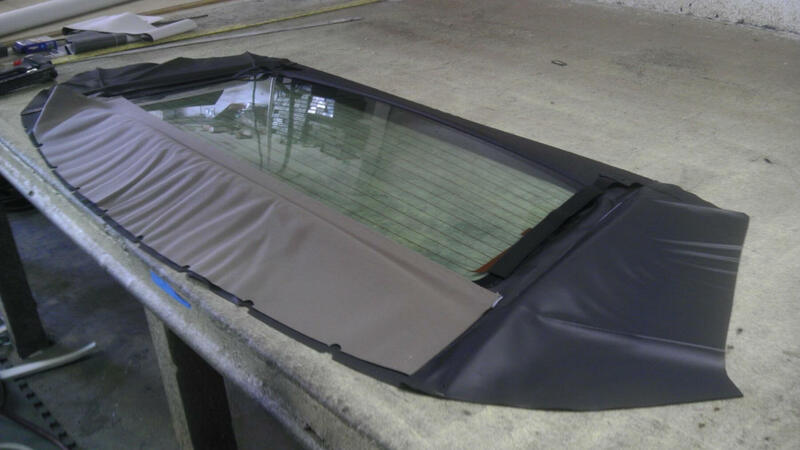 2004 Ford Mustang Rear Glass Window replacement. 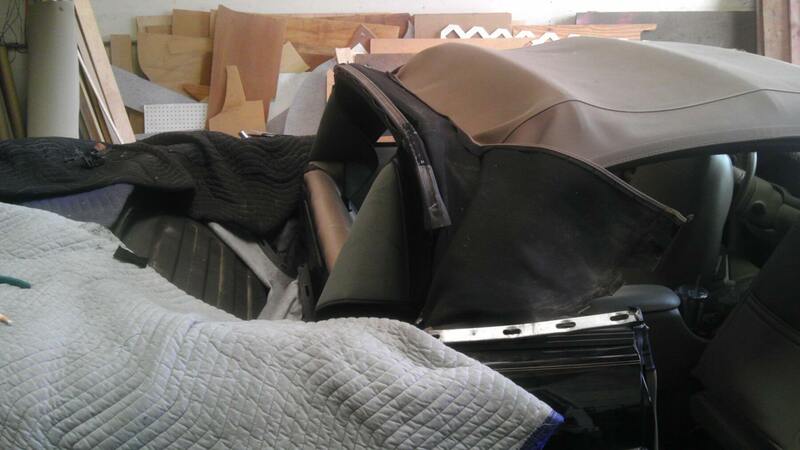 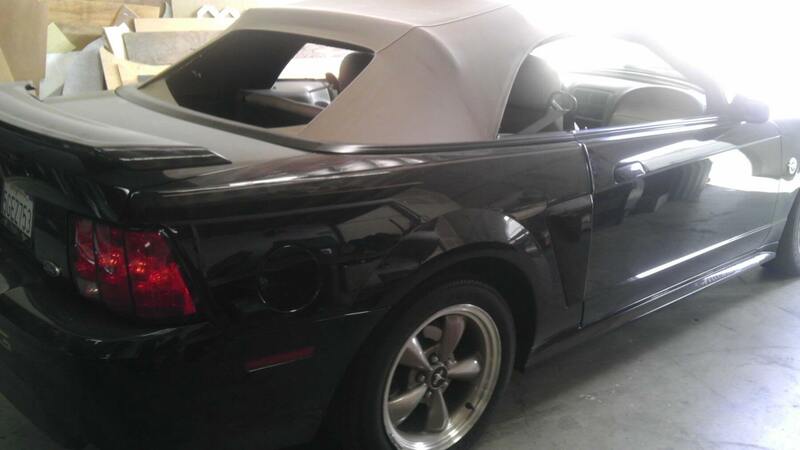 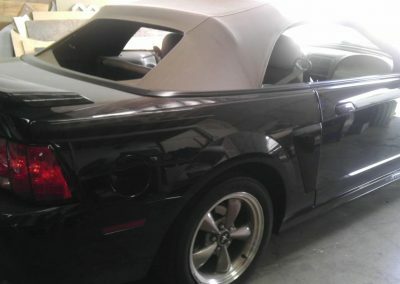 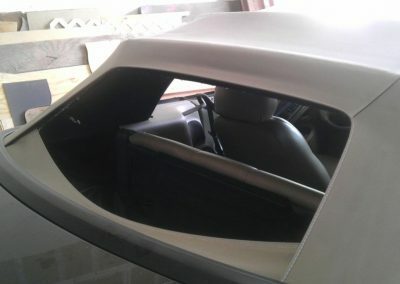 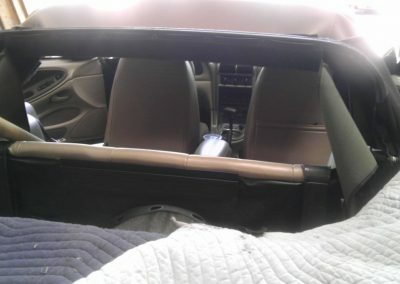 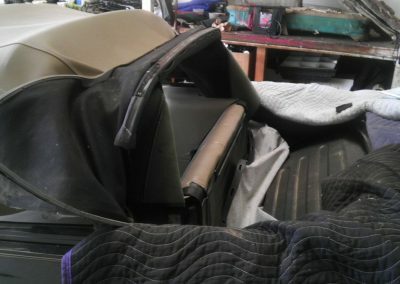 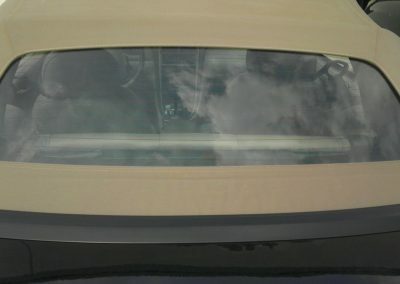 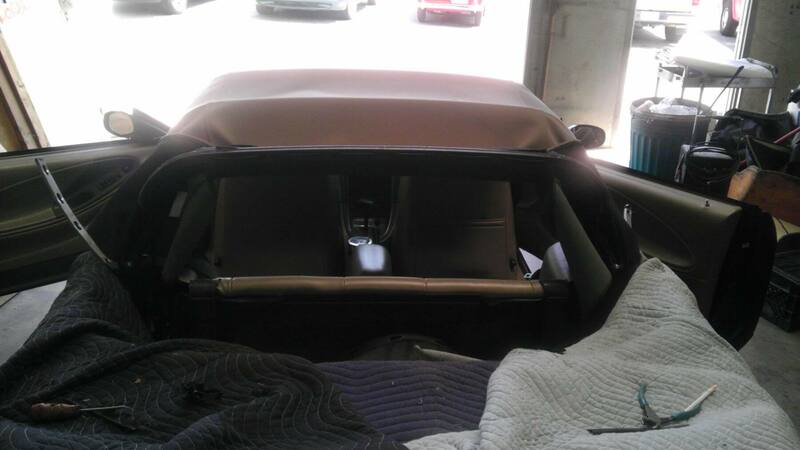 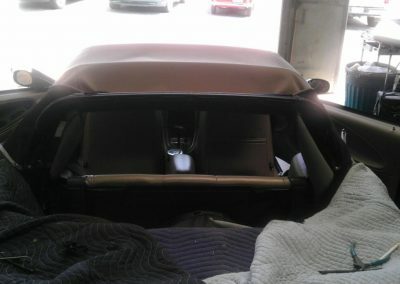 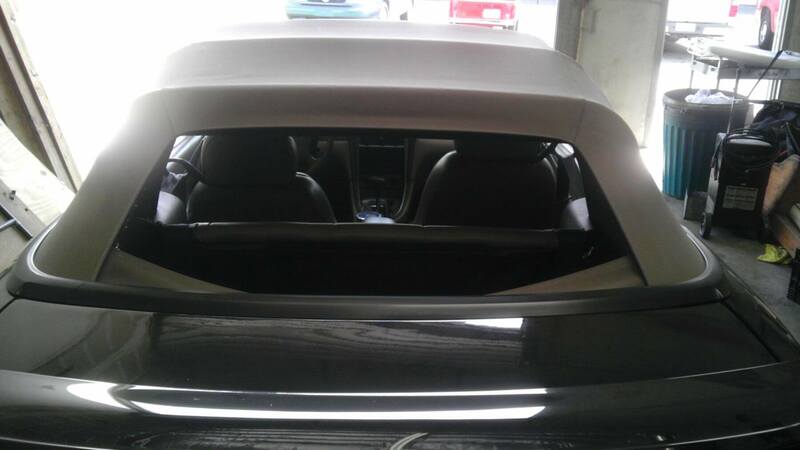 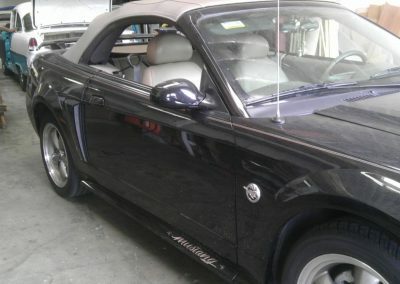 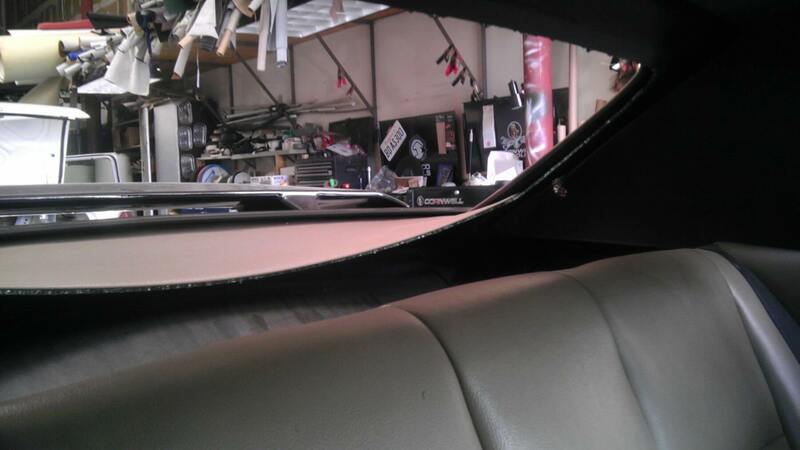 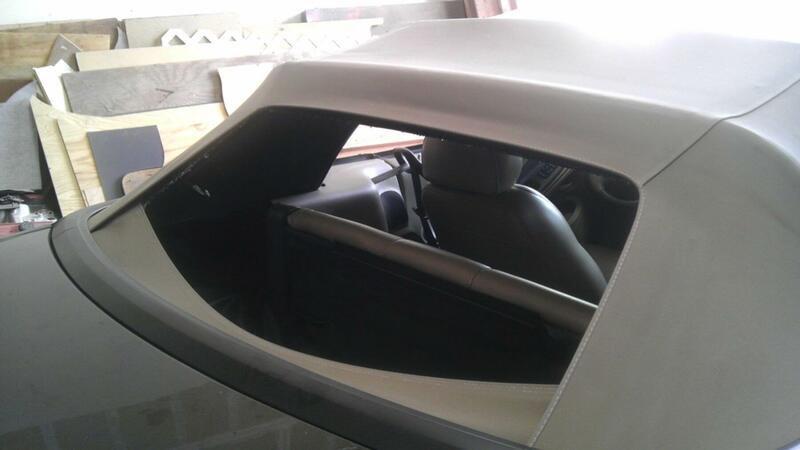 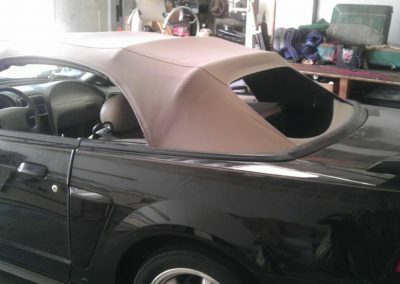 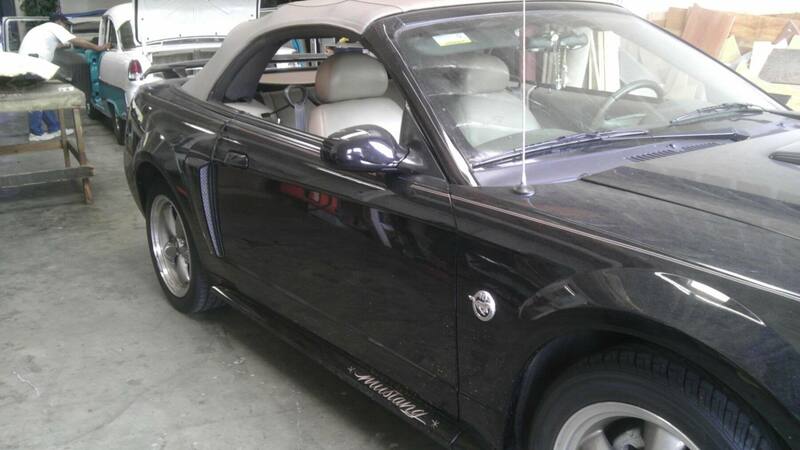 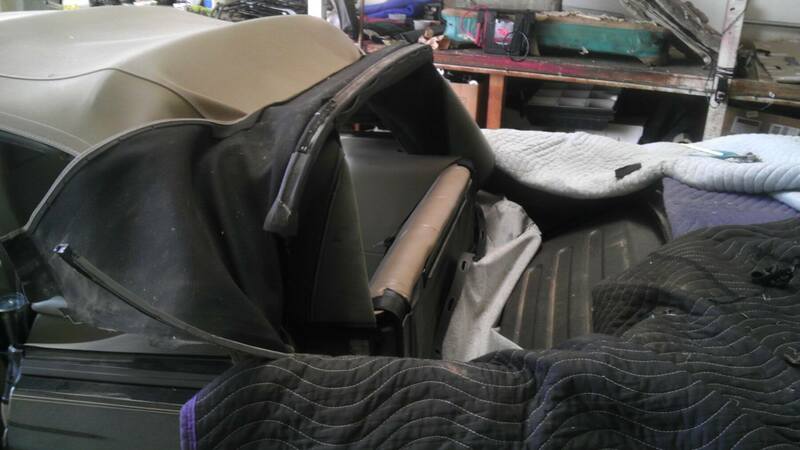 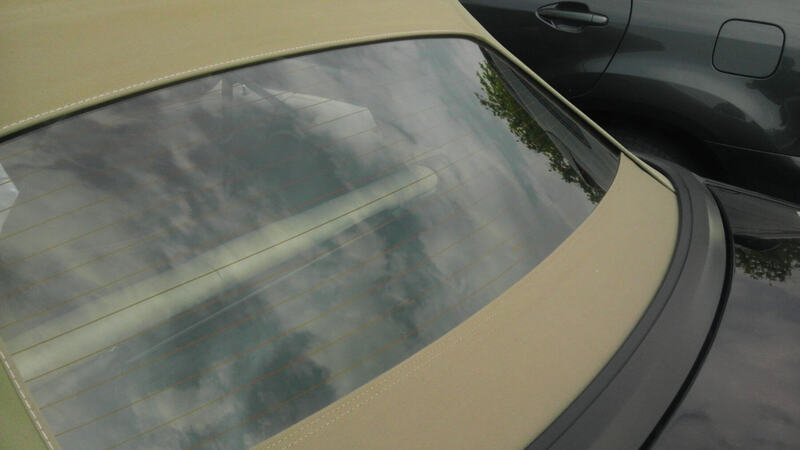 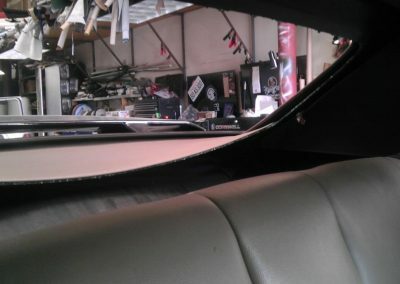 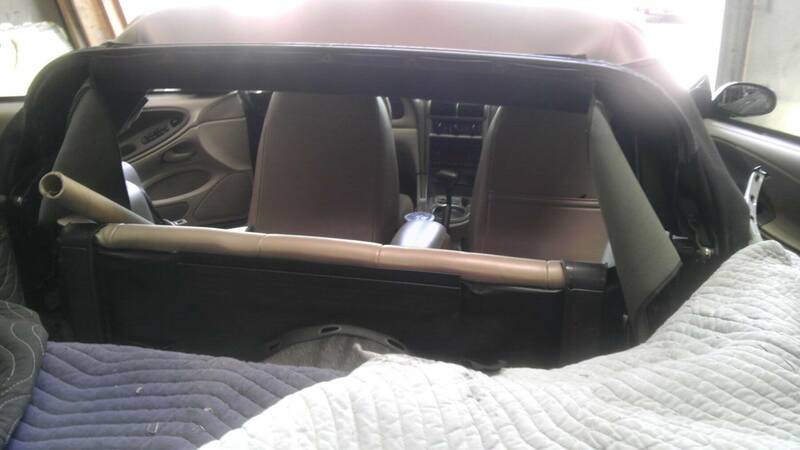 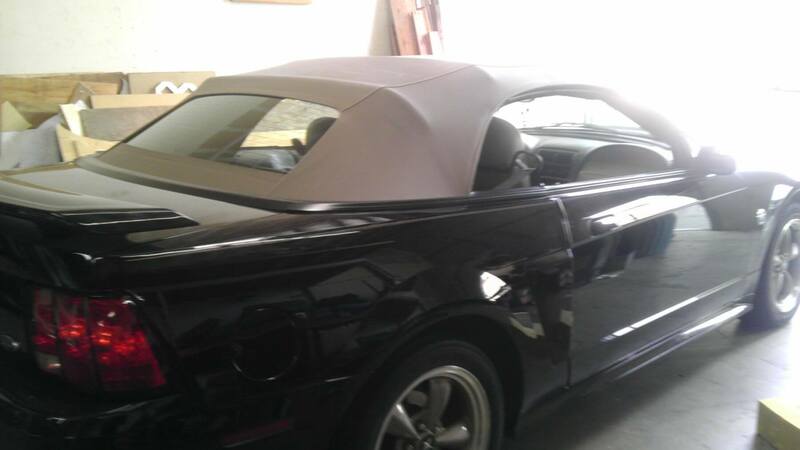 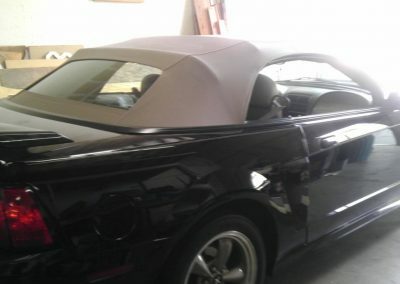 When the rear glass window breaks the top does not need to be replaced on 2005 and older convertible Mustangs. 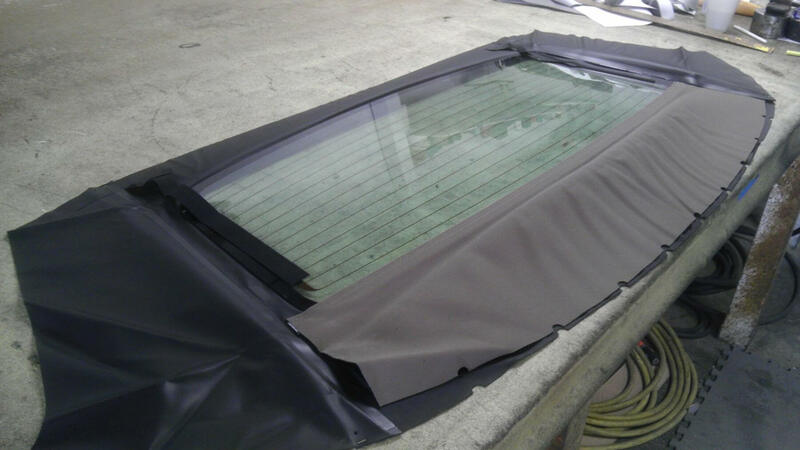 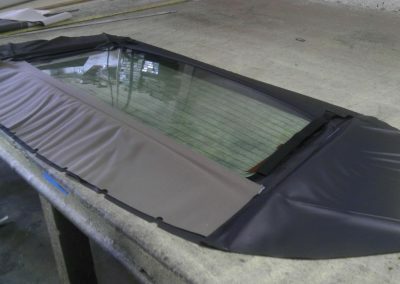 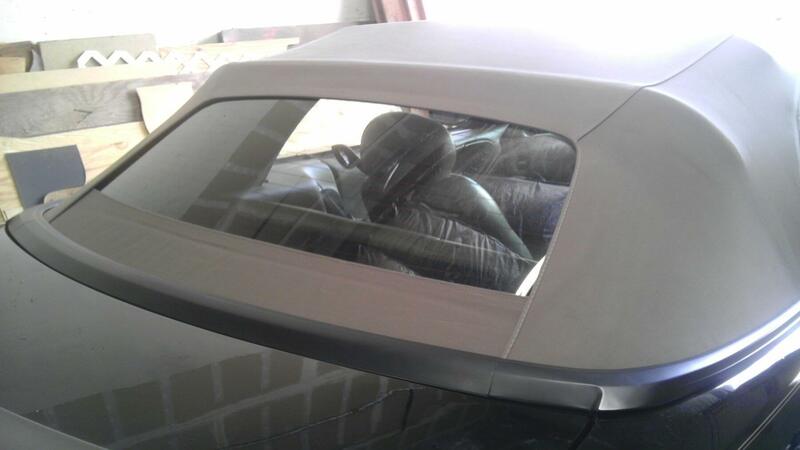 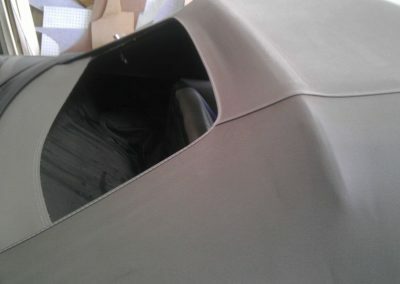 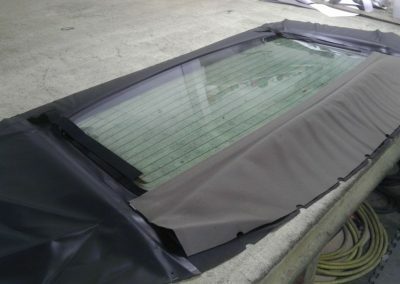 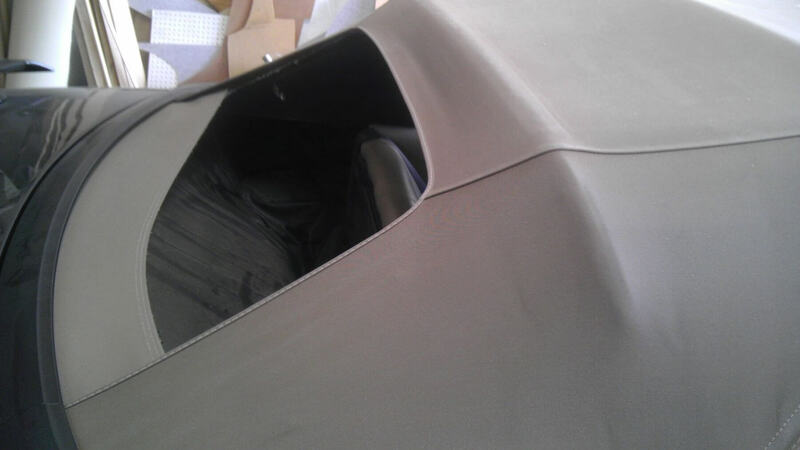 The glass is sealed to the lower piece of material that matches the convertible top. 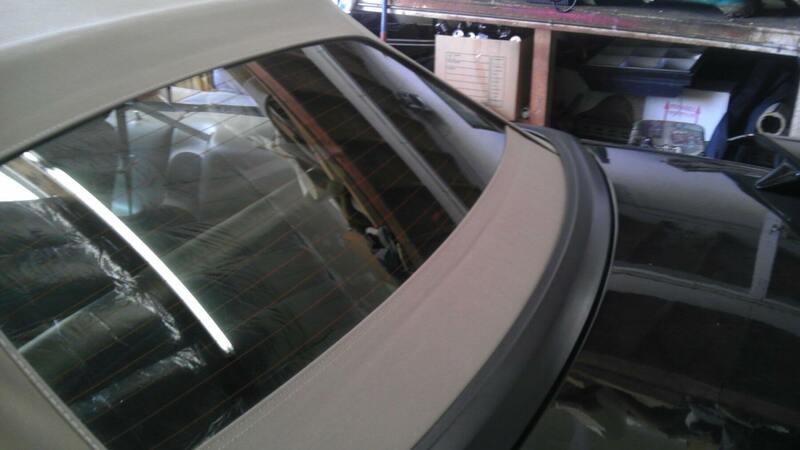 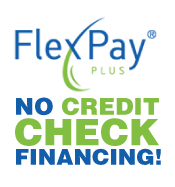 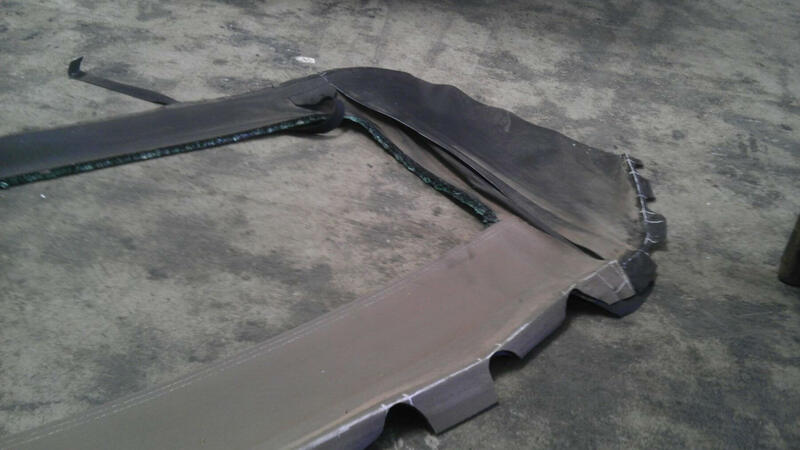 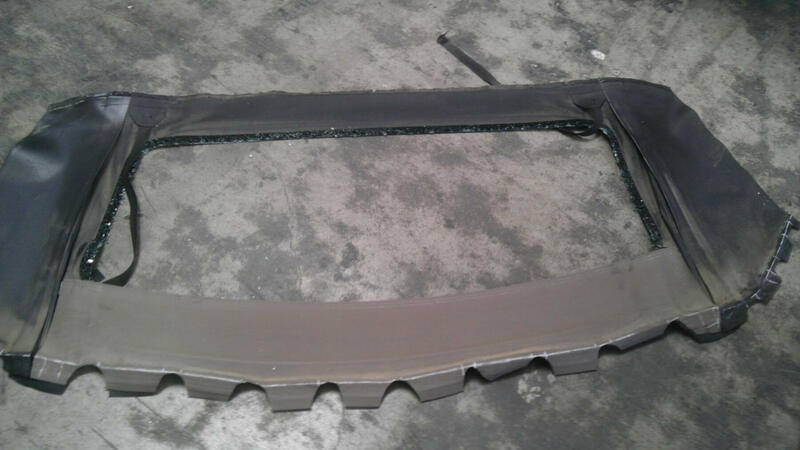 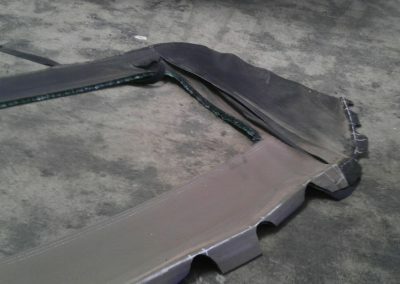 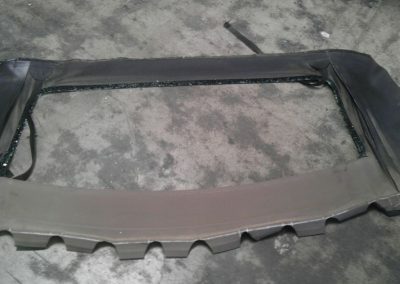 It is very common for the glass to separate from the lower or upper portion material. 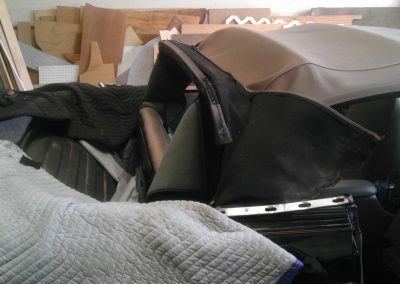 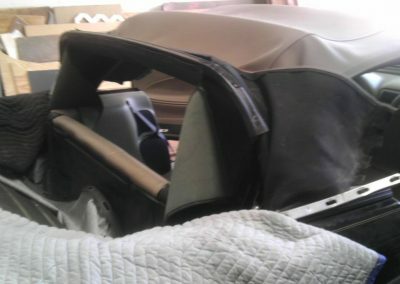 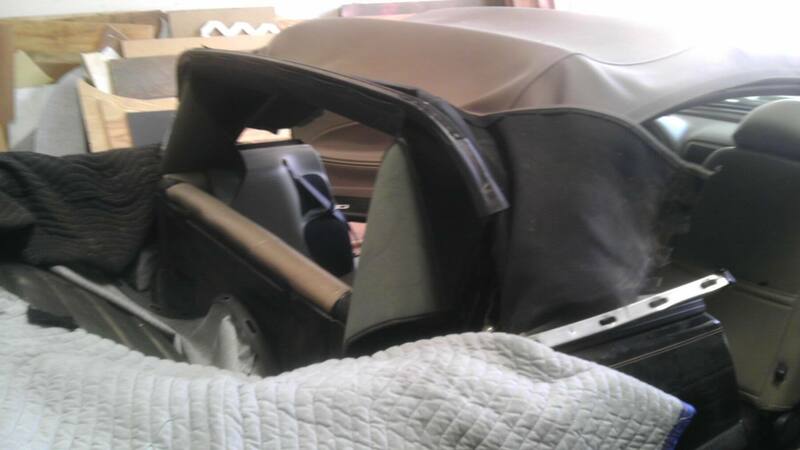 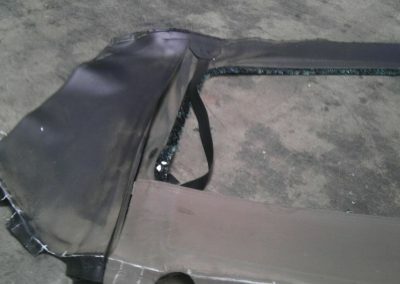 Most people believe that material is part of the convertible top and not the glass assembly. 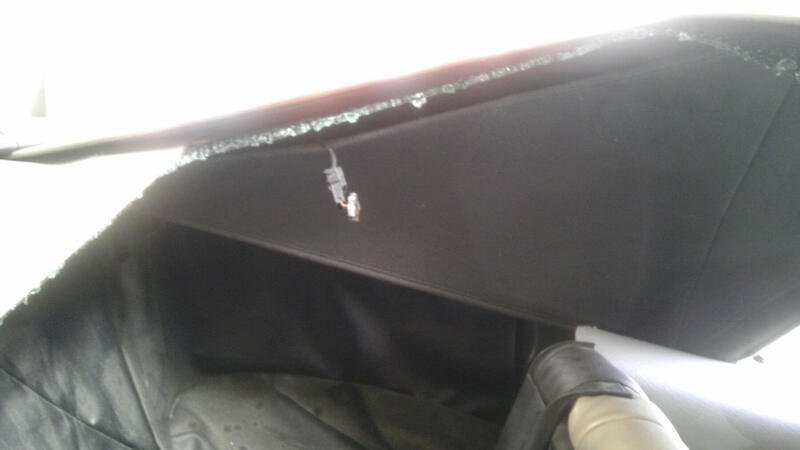 People very often ask us to “stich” the glass back to the top when the glass separates from this particular material. 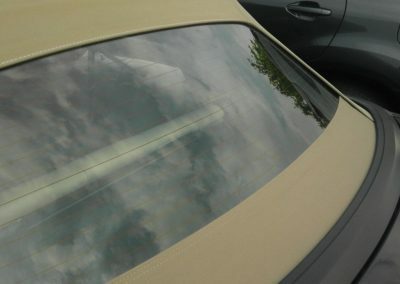 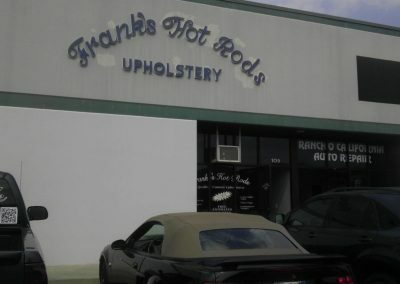 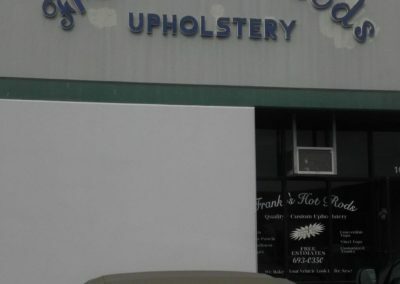 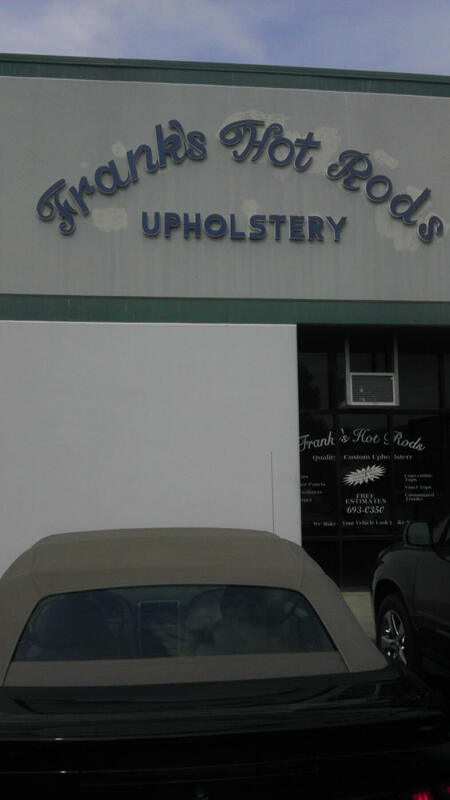 For very obvious reasons the glass cannot be “stiched” to the top, it has to be replaced. 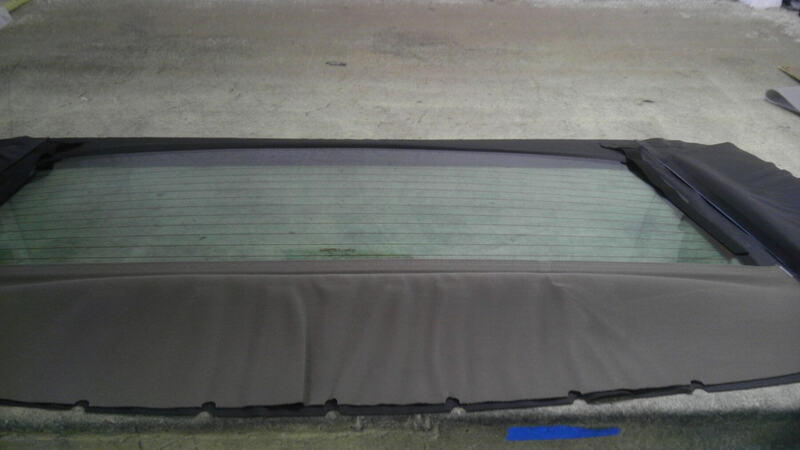 I included a picture of what the rear window assembly looks like(imag0507). 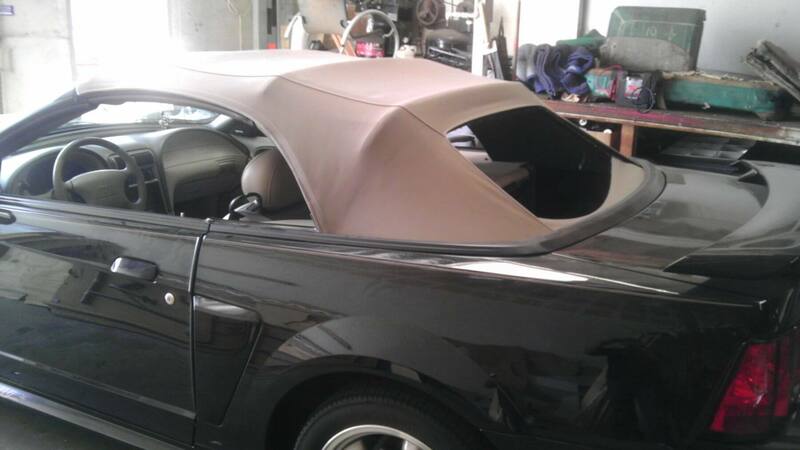 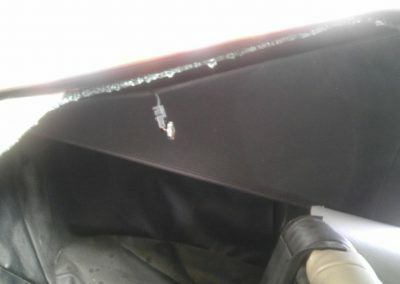 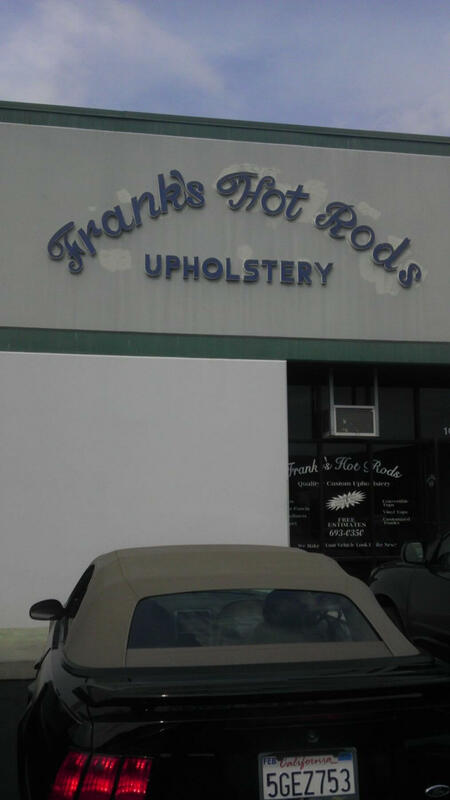 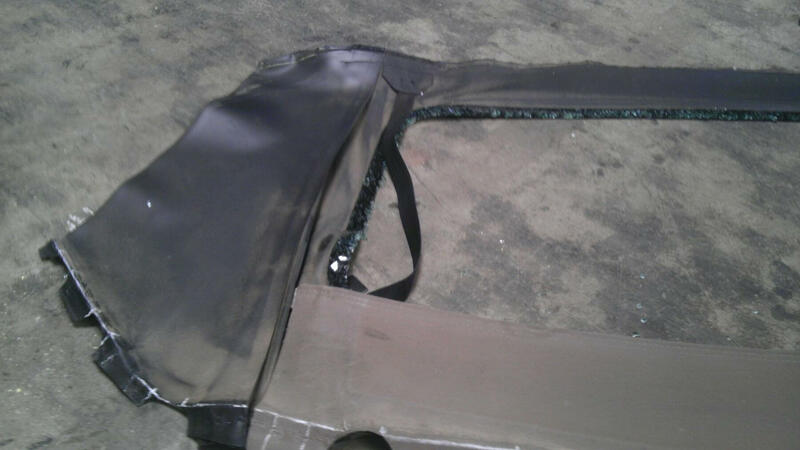 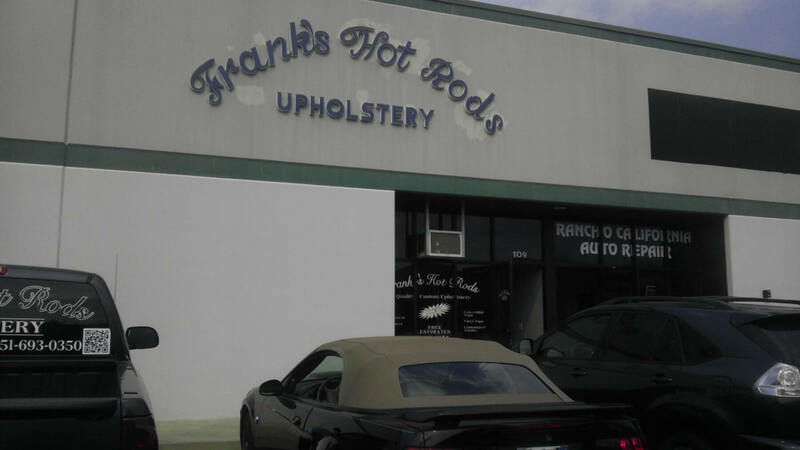 This Mustang had a broken glass window and was replaced with an aftermarket replacement window.